Athletes know they should just do their thing on the 18th hole, or during the penalty shootout, or when they’re taking a 3-point shot in the last moments of the game. But when that shot could mean winning or losing, it’s easy to choke. A new article published in Current Directions in Psychological Science, a journal of the Association for Psychological Science, looks at why paying too much attention to what you’re doing can ruin performance. “We think when you’re under pressure, that your attention goes inward naturally. Suddenly it means so much, you want to make sure everything’s working properly,” says Rob Gray, of the University of Birmingham, the author of the new article. And that is exactly when things go wrong. Something about paying attention to what you’re doing makes it not work right. Gray has found that baseball players that are under pressure have fewer hits because their swing varies more under pressure than at normal times. Other researchers have found that climbers move less fluidly when they’re higher up on a wall than when they’re near the ground, which suggests that their joints move less freely when they’re more anxious. The research shows that there are particular things that go wrong when someone is under pressure—changing the angle of the club head when putting or throwing with more force. If those things can be identified, a coach could work on the particular problems. One way to do it might be with analogies, Gray says. For example, a golfer who grips the club too tight when she’s nervous might benefit from an instruction like “imagine you have an open tube of toothpaste between your hands and the contents must not be pushed out.” This would both address the problem and get her attention away from how well she’s doing. 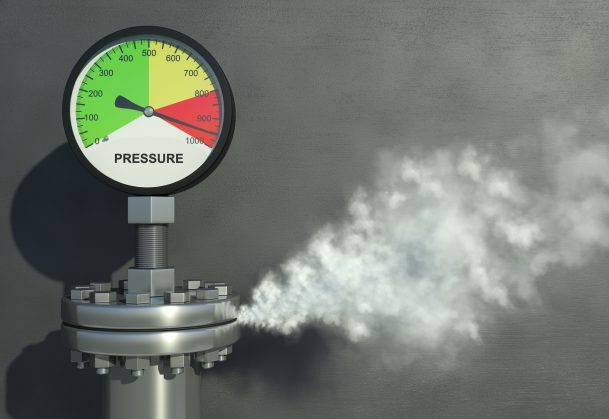 News > Latest Research News > Why Do Some Athletes Choke Under Pressure?